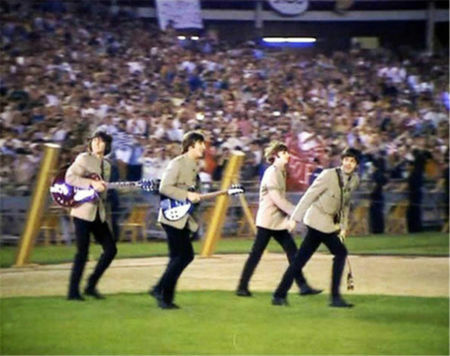 The Shea Stadium concert on 15 August was record breaking and one of the most famous concert events of its era. Over 55,000 people saw the concert. “Beatlemania” was at one of its highest marks at the Shea show. Film footage taken at the concert shows many teenagers and women crying, screaming, and even fainting. The crowd noise was such that security guards can be seen covering their ears as The Beatles enter the field.